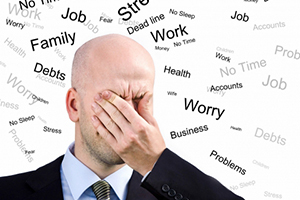 Stress is usually conceived as constant worry, inability to sleep or trauma from a personal event such as a divorce or a loss of a family member. While all these situations are causes of stress, in our modern society we face a multitude of situations that constantly bombard our body, some are obvious and some not so much because we cannot see them as happen internally. The natural response to stress is the production of the stress hormone cortisol, however, prolonged states of chronic stress, either emotional, environmental or physiological, cause a burden on our body which slowly starts to produce less and less cortisol. A category of people particularly subject to this problem are professional athletes which put their bodies through abusive training regimens. While the standard test for cortisol gathers information of total cortisol, this is not an accurate measure. This is why we use a 4 samples of saliva taken throughout the day to have a perfect map of your cortisol output. The test is very useful not only for those with fatigue or certain symptoms but also for general wellness, preventive medicine and especially for athletes.